Yet another interesting CBC documentary this time on the psychotic drug LSD. It deals with the medical as well as cultural aspects of the LSD crisis. The drug essentially inhibits natural informationprocessing, generating confusion and a struggle within the brain, making people experience a strange kind of perceptual ignorance and selfdelusion, which ironically makes the individual develop self-fixation and a tendency to doubt and question even the most obvious common-sense assumptions. The fiulm also contains interviews with journalists on LIFE magazine with close contacts to major dealers, claiming that around 20 million portions were distributed a year, targetting young people in general and college students in particular. 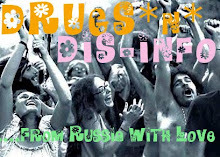 Where these huge amounts of LSD were produced and how they were distributed in the western world remains a mystery, however considering the conflict scenario of the cold war, target groups, motive, and opportunity make it probable that the drugs were produced in eastern europe and distributed through hippies and revolutionaries within america.